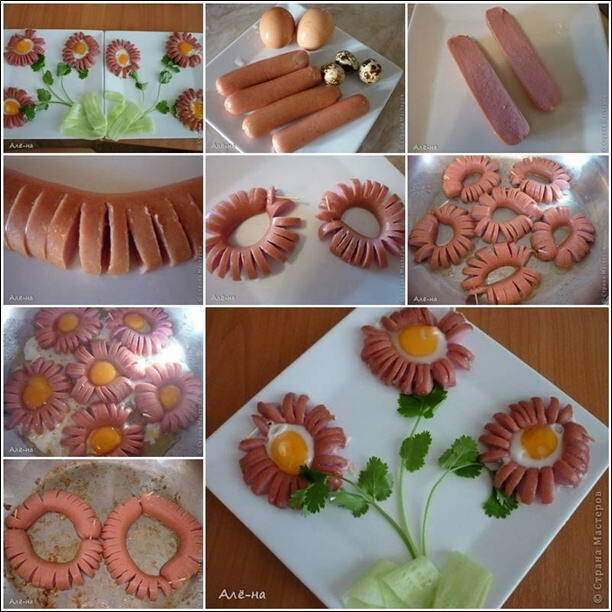 Sausages and eggs are always great for breakfast and if they combine together to form beautiful and yummy flowers, then who can resist? To make two daisies first you have to slice the sausage in half. After that make cuts in each long slice keeping one side uncut. Then curve the slices in a circle to form flowers and secure their ends with a toothpick. After that take some oil in a pan and add the sausage flowers. Add an egg in each flower’s centre. Cook them on medium heat and you can also put the lid to let the eggs cook from above as well. Once eggs are cooked, sausage and egg daisies are ready to be served.